The key to the future is understanding (1) the past and (2) how everything functions. Sure there is a risk of a Dark Age after 2032. Hopefully, we can learn from the past to push things in the right direction at least for once. For whatever reason, the people who like to run government are the least qualified. They seem to be people who just like to order others around. Since they have typically never had a job in the real world, they remain clueless about how to really deal with society no less the economy. This last crisis is the classic example. We have people in power who do not understand the past no less how things really function. 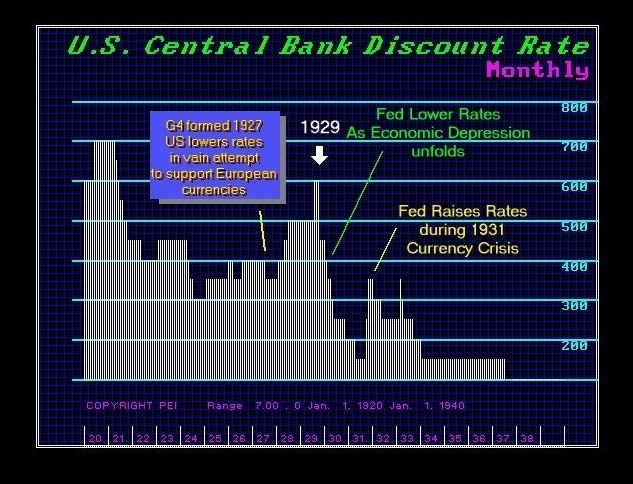 As a result, someone comes up with this idea of lower interest rates to stimulate demand and NEVER even once do they review history and asked – Hey; did this every work before? I find it truly amazing that I can even write about how lowering interest rates failed to stimulate the economy for almost 10 years in Europe, and yet people want to argue that somehow I am wrong. They never review the past and offer only opinion often taught in school as if that makes it absolute doctrine. Interest rates NATURALLY drop in a recession/depression because demand declines as people lose confidence in the future. You cannot reverse a recession/depression by lowering interest rates. Until people BELIEVE they can make a profit in the future, they will never borrow as long as the horizon appears dark and dismal. This solution from the 2007-2009 crisis of lowering interest rates has undermined the Pension funds. This has set the stage for the collapse in government as pensions begin to fail first in the state/province level of government and municipalities. I’m sorry. This is not Nobel Prize winning theories here. All you have to do is just open your eyes, shut your ears to propaganda, and look at the history. Just ask what happens and let the charts show you without political bias. 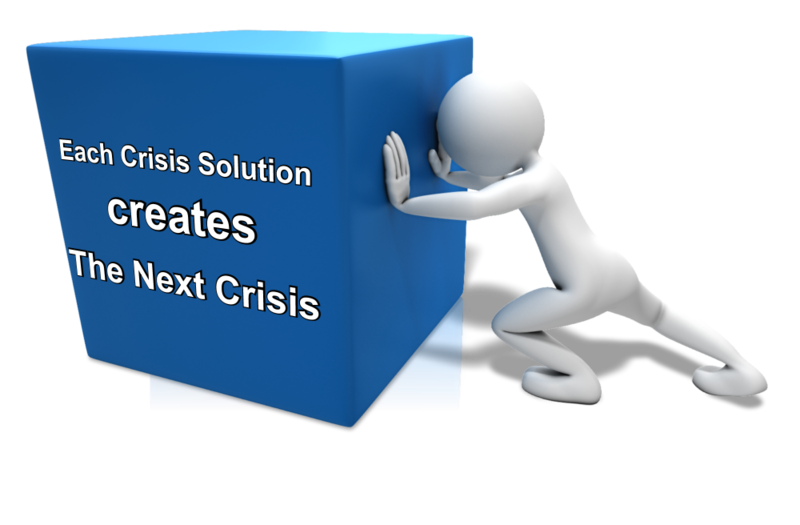 Throughout history, the solution to every crisis sets the stage for the next crisis. This is what happens when we have unqualified people running the joint. The key to making money to secure your future is to shed all bias and just let the markets dictate the outcome.